1950's. 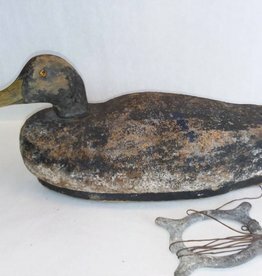 Glass Eyed Cork Body Decoy w/Wood Float Base. Weight line w/Lead weight. 16" long. Shows it has been used but still a neat collectable. c.1940. 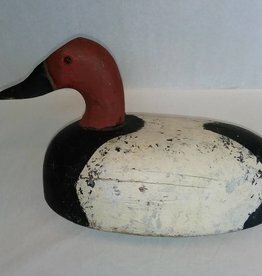 Painted wooden decoy w/weighted keel. 14"L.x8"W. Very nice paint although it has been used.